Writing Kentucky girls into history - one book at a time. Meet Betsy Johnson, her brother Tad, and their friends from the Shaker Village of Pleasant Hill. The Shaker Village of Pleasant Hill was a marvellous place in the 1830s. It was located in the central Bluegrass Region of Kentucky, not far from Lexington and Frankfort, and was home to almost 500 residents. It uniquely combined the attributes of a small town and a large family and was one of the most successful and most long-lived utopian communities of its kind in the United States. Today, it's a living history museum, but there are no Shakers living there. At the time of our stories, it was one of the best possible places in the world for women and girls to live. Socially and politically, the Shakers treated everyone equally even though that wasn't common in other places. - They even granted freedom to any slaves who were brought to live in the village by their masters. - And, what's particularly important to us, the Shakers educated their girls which wasn’t a common practice at that time. The Shakers were very progressive in their thinking about many things, and they were very innovative in finding better ways to do their work more efficiently. These traits helped them be financially successful. Individual Shakers weren't rich; they certainly didn't live in luxury, and none of them were very showy about what they did have. But, their communities were unusually prosperous and every member of the community benefitted from that success. Shaker villages managed to avoid being striken by many of the most serious diseases that spread through other communities at that time. This included the very deadly threat of cholera. They did it by being very knowledgeable about, and by carefully practicing, personal and public hygiene. However, like any community, the Shakers did have to face some problems. Everyone was not happy all of the time. Sometimes the unhappiness was a result of how the Shakers lived. Sometimes it was just a case of people being people and getting on one another's nerves. 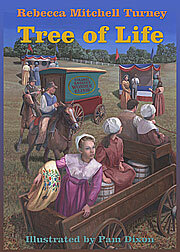 All of these elements of Shaker life, especially those that set the Shakers apart from the rest of the world, provide the setting in which the ten-year old orphan, Betsy Johnson, and her younger brother Tad come to live. 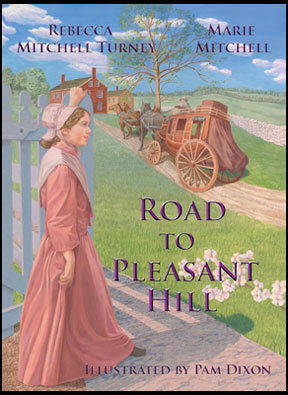 Join them as they meet new friends and problems in the Shaker Village of Pleasant Hill, Kentucky. But, don't expect these books to tell you everything there is to know about the Shakers. That's not their purpose. They're not textbooks or history books. They're adventure stories about young girls written especially for young girls. That means they're meant to be fun to read. 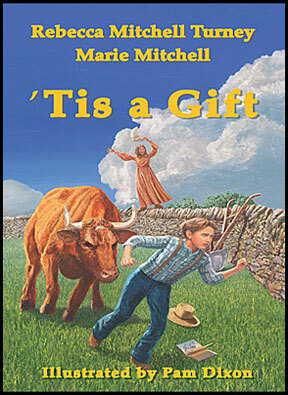 © 2013; 2018 - Kentucky Girls Books | Send us e-mail.